The AALL Spectrum Article of the Year Award honors outstanding achievement in writing an article that contributes to topics relating to librarianship, law librarianship, and practical applications for library work or to an understanding of legal materials, legal systems, legal information, or to professional and staff training and development. The winner is selected on the basis of quality of writing and effectiveness of the communication technique. The Spectrum Article of the Year Award is open to both members and non-members. The purpose of the award is twofold: (1) to honor outstanding achievement in writing as represented by a work published in AALL Spectrum; and (2) to encourage the submission of such works of high quality to AALL Spectrum. Contributions to topics relating to librarianship, law librarianship, and practical applications for library work or to an understanding of legal materials, legal systems, legal information, or to professional and staff training and development. Quality of writing and effectiveness of the communication technique utilized for the information sought to be conveyed. 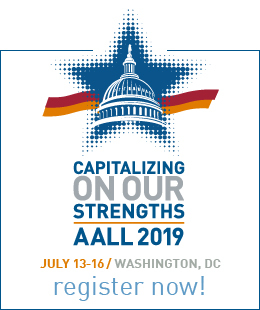 All articles published in AALL Spectrum during the previous year of publication will be eligible to be considered for the award. The previous year of publication is considered to be January through December. Length and format of the article will not affect eligibility. Articles originally published elsewhere will not be eligible for the award. However, revisions of previously published works or pieces originally presented in another form or media (e.g, paper presented at a conference) will be eligible for consideration. 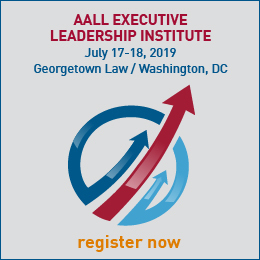 The editor of AALL Spectrum shall prepare a list of all eligible articles no later than three weeks after publication of the last issue under consideration. The AALL Spectrum Article of the Year Award Jury shall select one or more recipients for the award or no recipient if it deems none of the nominees sufficiently qualified. The award will be announced and presented at the Annual Meeting next following the selection of the recipient by the AALL Spectrum Article of the Year Award Jury. University of Minnesota Law Library.